Radicals in America is a masterful history of controversial dissenters who pursued greater equality, freedom and democracy - and transformed the nation. Written with clarity and verve, Radicals in America shows how radical leftists, while often marginal or ostracized, could assume a catalytic role as effective organizers in mass movements, fostering the imagination of alternative futures. 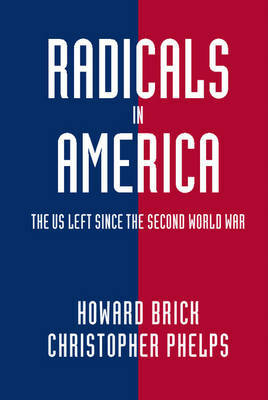 Beginning with the Second World War, Radicals in America extends all the way down to the present, making it the first comprehensive history of radicalism to reach beyond the sixties. From the Communist Party and the Black Panther Party for Self-Defense, its coverage extends to the Battle of Seattle and Occupy Wall Street. Each chapter begins with a particular life story, including a Harlem woman deported in the McCarthy era, a gay Japanese-American opponent of the Vietnam War, and a Native American environmentalist, vignettes that bring to life the personal within the political.